I've been having fun experimenting with acrylics on big canvases. Last year I painted Ocean Hues (bottom - 18"x18"), and very much enjoyed it, so I wanted to continue the theme. 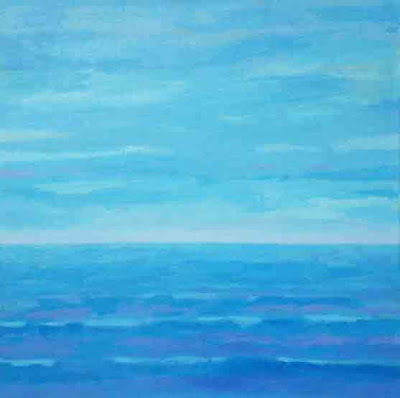 This one is called "Ocean Blues" (top - 24"x24"). As I worked on it, it became a bit less abstract than my original intention, but it's about going where the painting wants to go, isn't it? 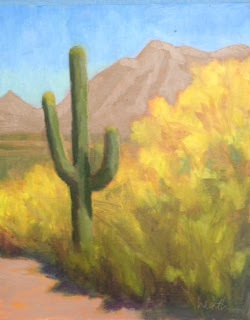 I'm off to the Plein Air Convention later this week. If any of you are going, please let me know, I'd love to meet up. 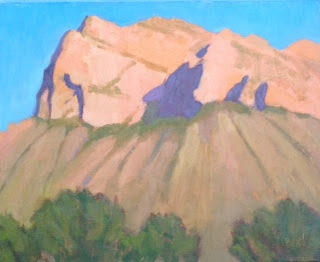 I’m back from shoulder surgery and some time off from painting because of that. The good news is that my shoulder is doing fine, and I’m hoping the soreness that used to come the day after painting will be gone for good! A fun thing that I did while taking the time off, was to speak to a group of cub scouts who were working on their Art badge. Artists Corner and Gallery arranged this for me and set up the gallery for the talk. I was given some questions beforehand, but I was most impressed by the insightful questions the scouts asked during the presentation. We talked about their interest in art, and I was pleased to be talking to a group of budding cartooners! 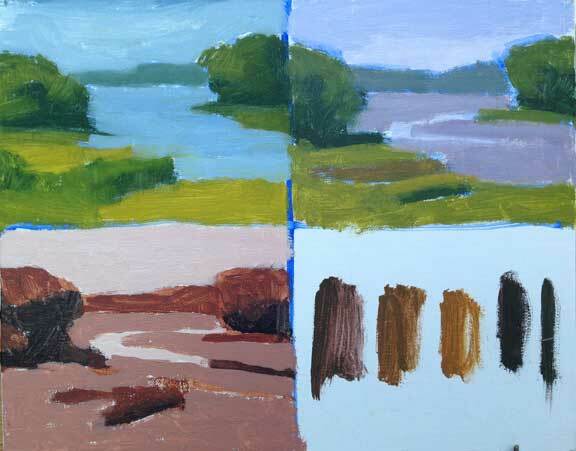 I set up my plein air painting gear and we talked about painting out of doors and in the studio. My iPad was passed around with photos of my small painting studio in my home. We talked about the pros and cons of oil and acrylic paints. 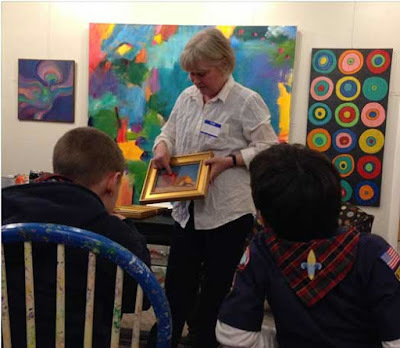 I showed them a few of my paintings and we talked about choosing painting subjects. A couple of the questions that came up during the talk really made me think. I was asked “What's the hardest painting you’ve ever done?” I replied, that painting a new subject is often hard, and my approach to that is to do a few small quick test paintings to get used to the subject (see above). It’s much easier after that to do a successful painting. “What's your favorite painting you’ve ever done?” was also fun to think about. 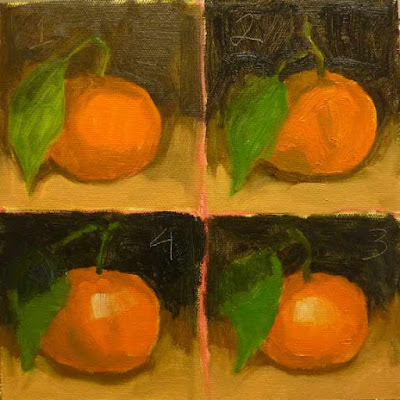 My current favorite is usually a recent painting that I particularly enjoyed doing, and I find that sometimes I have to wait a while before I can sell one of those. They are kind of like your children, it’s hard to send them out into the world!